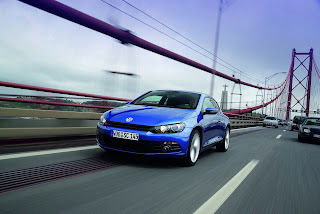 Sources have officially revealed that the U.S won't receive the sleek Scirocco coupe. After acquiring an official-looking memo which stated that the car wouldn't be coming to the U.S, a publication decided to get in touch with Volkswagen's public relations coordinator, Tom Wegehaupt. During the course of their conversation, it was able to confirm that the coupe will not come Stateside. While it remains unclear as to why Volkswagen decided against bringing the model to the U.S, several scenarios likely spelt doom for a possible American launch. The two leading contenders appear to be the dismal economic climate and the potential of having the Scirocco steal sales from the GTI, both of which would have hampered Volkswagen's profitability.